Is It Time To Consider Subscriptions For Your E-Commerce Business? How many repeat orders have you had in your web shop in the last 3 months? “The subscription e-commerce market has grown by more than 100 percent a year over the past five years,” according to a 2018 article by McKinsey & Company. McKinsey suggested that “women (in the US) account for 60 percent of subscriptions” but that “male shoppers are more likely than women to have three or more active subscriptions—42 percent versus 28 percent, respectively—suggesting that men particularly value automated purchasing and the ability to limit store trips”. The report looks convincing, but we like to be honest with our clients: Survey numbers are increasingly becoming a questionable barometer for market performances. Before jumping the gun, consider that subscription commerce, like any business model, has its own challenges. Some sectors do better than others when it comes to Subscriptions, and that varies on the incentive for your customers. If you’re looking to expand into offering Subscription, consider which proposition works best for your products. Sampling. The beauty industry benefit handsomely from the Subscription model because their target audience find the idea of sampling goods before committing to them, appealing. Convenience. For some, it’s all about the convenience of replenishing perishable or disposable supplies without having to deal with lengthy drives and stressful road traffic. Blockbuster went under when film streaming services came into ‘the picture’. (Get it? 😛). Pricing. By increasing the demand on their goods, Subscription businesses are sometimes able to offer better deals to their customers. Be wary of the discount trap, however. With conscious consumption on the rise, consumers become more pragmatic in their spending and not everyone will give in to everything that is affordable. Access and Exclusivity. People like having access to novelty items, limited items, and expensive or rare items. We’re talking ‘craft’ goods, artisanal products, and niche services. Grover makes a great example. The German startup made expensive gadgets affordable and accessible by offering rental subscriptions. In turn, the company raised €37 million in Series A funding – apparently one of the largest Series A rounds in Europe in 2018. Curation. Curated and personalised items - such as art subscription boxes - make for an enticing purchase and can be perceived as having a personal shopper. What are the challenges and can they be solved? Failed Payment. Set up a ‘dunning’ strategy to retry expired or declined card payments and notify customers ahead of their card expiration. Loss of interest. ‘Curation’ Subscriptions are more susceptible to this. Keep customers interested with ‘mystery products’, give them access to new product launches, create ‘subscribers-only’ sales, etc. Fence-sitting. Subscription can be an intimidating commitment. Encourage customers to pre-pay for longer periods by offering reduced pricing or other incentives AND by giving them the option to pause or cancel their subscription. Product availability. First, there’s the question of stock: Do you have enough goods to offer for recurrent ordering? And then there’s the question of distribution: If or when something goes wrong with distribution or delivery, how much will it affect several of your subscribers at the same time? Sustainable Packaging. Online retail is one of the largest culprits of wasteful, excessive, throwaway packaging, and this does not go unnoticed. Think about the cost of producing a functional and sustainable packaging design, and consider your storage as well. Subscription Fatigue. Your audience may already be signed up with other subscriptions and may not want to have multiple ones. If they’re not familiar with you, your brand, or products, it could be trickier to convince them to subscribe. Offering sample options could help. How does Subscription Commerce work? Subscription Commerce is a model you can offer alongside all of your other products. It’s a strategic way of predicting your sales and deliveries. 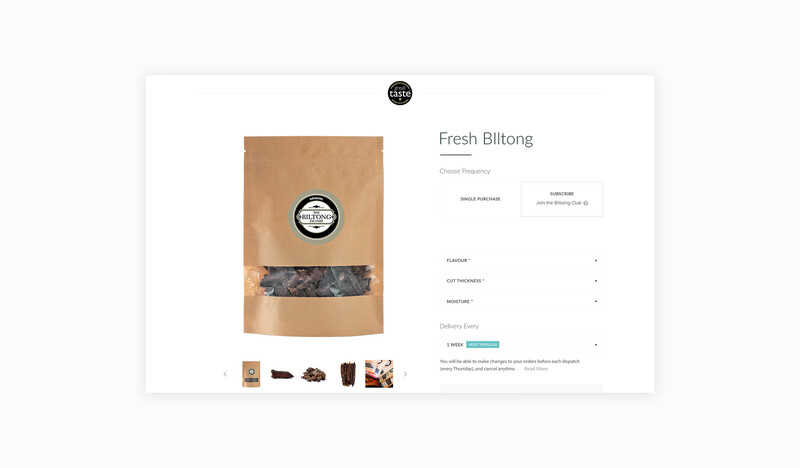 From a technical perspective, it’s a built-in tool within your shopping interface that allow you to ask customers if they’d like to receive your products periodically. WooCommerce Subscriptions for WooCommerce websites. ReCharge Payments for Shopify websites. Subbly as a SaaS option, which can be added to any existing website. Speak to us to learn more about the pros and cons of these plug-ins, and how we can improve your customers’ online shopping experience. Because having a cute landing page is no longer just enough. Are Desktop Websites Still Relevant In This Mobile Age?